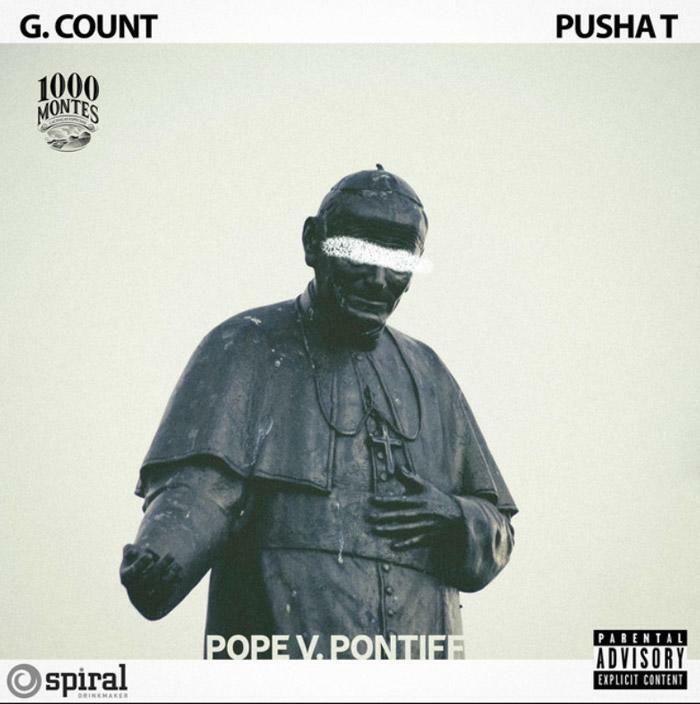 Pusha T Assists G Count On "Pope Vs. Pontiff"
Home>New Songs>G Count Songs> Pusha T Assists G Count On "Pope Vs. Pontiff"
G Count returns with a new single ft. Pusha T.
Chicago's G Count caught a wave with L.E.P Bogus Boys earlier this decade. Unfortunately, the duo disbanded and they haven't been making as much noise as they did before. However, G Count is still kicking and dropping off new tunes. Now, he comes through with a brand new collaboration with Pusha T.
G Count enlists Pusha T for his new single, "Pope Vs. Pontiff." With his vocals laced up in autotune, G Count hops on top of a piano-laden beat while delivering some hard-hitting street bars. After G Count wraps up his verse, Pusha T sweeps in with yet another stand-out verse. We're hoping that the release of G Count's new single means that he has more music in the stash, and hopefully, more unreleased collabs with Push. DJ Muggs & Mach-Hommy Link Up On "Stain Glass"
Nav Drops "Amazing" Ft. Future From "Bad Habits Deluxe"
SONGS Pusha T Assists G Count On "Pope Vs. Pontiff"